The town of Black Rock is under a dark cloud. Four single women have disappeared, and there are no leads as to their whereabouts. Until one evening after work, pretty real–estate broker Layla West fends off an attacker, and becomes the newest obsession of a deranged serial killer . Desperate for protection, Layla seeks refuge at the remote cabin of Jacob Grayson, the brother of the local sheriff. A former FBI agent, Jacob still bears the guilt of a similar case gone fatally wrong. 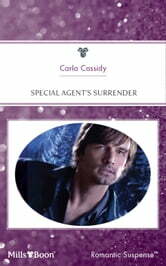 Now Jacob's growing desire for Layla could tempt him into letting his guard down with potentially deadly results.